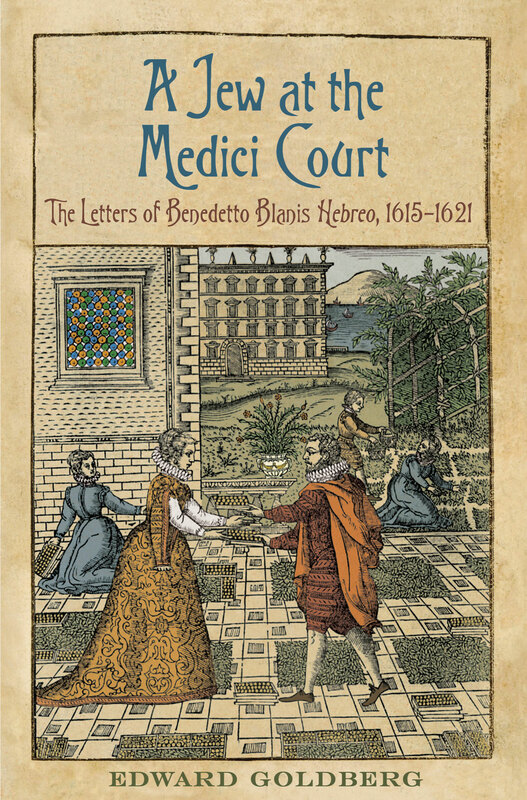 Jews and Magic in Medici Florence: The Secret World of Benedetto Blanis: WHO'S THAT GUY? We have almost no portraits of Jews in the days of Benedetto Blanis. Few could afford them. And those who could usually heeded the injunction against graven images. In this case, we have an astonishing glimpse of a self-proclaimed Jew, dressed as a Christian gentleman, in an impressively courtly context. 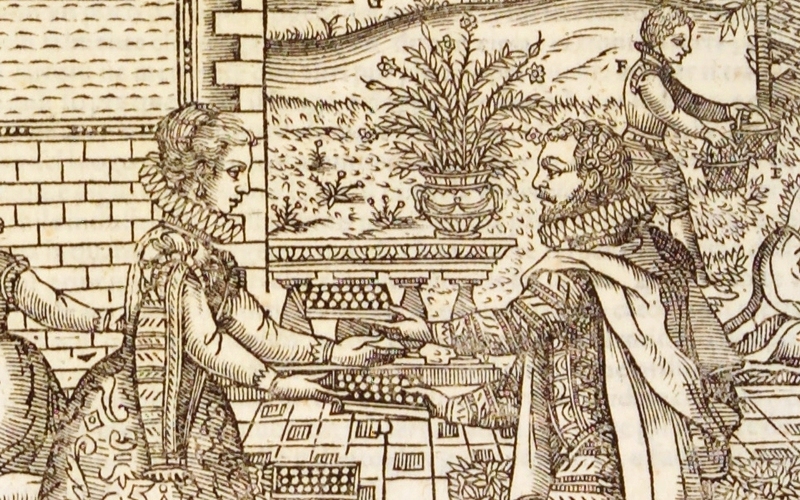 In 1588, Maggino son of Gabriello, Jew of Venice, published a lavish treatise promoting a new system of silk production. 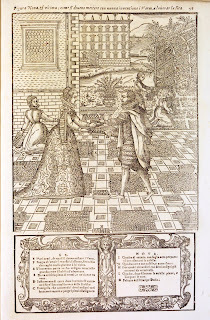 In a remarkable series of engravings, he casts himself as a decisive individual but also a perennial type: the Jewish smooth operator imparting trade secrets to admiring gentiles. "Maggino, Hebreo Venetiano" at the age of 27 - head uncovered and barely bearded. He appears above an emblematic figure of a woman who boils the the cocoons of silk worms and unwinds the filaments. 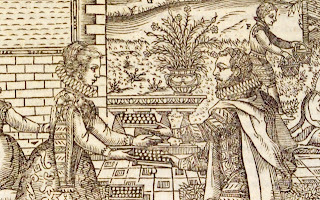 Benedetto Blanis (c.1578-1642). 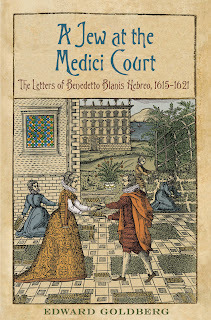 From the late 1580s through the early 1590s, he figured prominently in the Florentine Ghetto while marketing his innovations at the Medici Court. Maggino certainly knew the eminent Blanis family, then the acknowledged leaders of the local community. 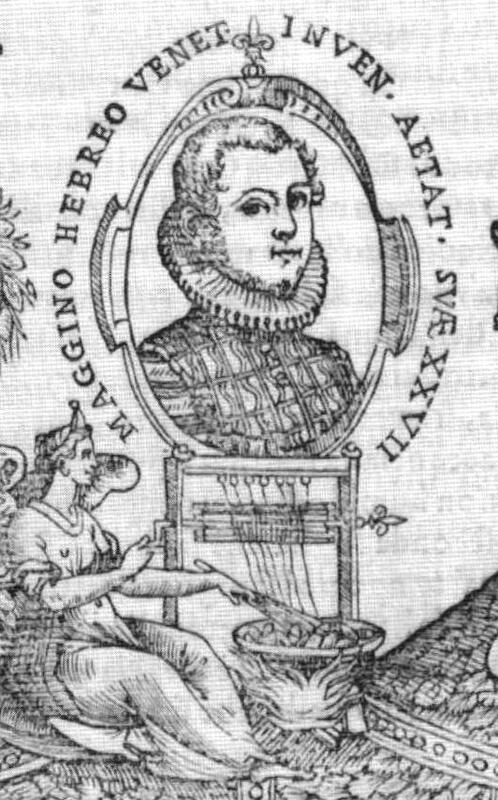 The young Benedetto might have identified Maggino as a role model - a free agent who made his own way between the Jewish and the Christian worlds.